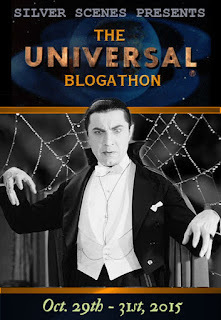 Returning to Universal Studios, the home of his glory years, horror icon Boris Karloff takes second billing opposite Charles Laughton as the two bring the pages of this Robert Louis Stevenson tale to life under the direction of the workmanlike Joseph Pevney making for a thoroughly enjoyable rainy day viewing. 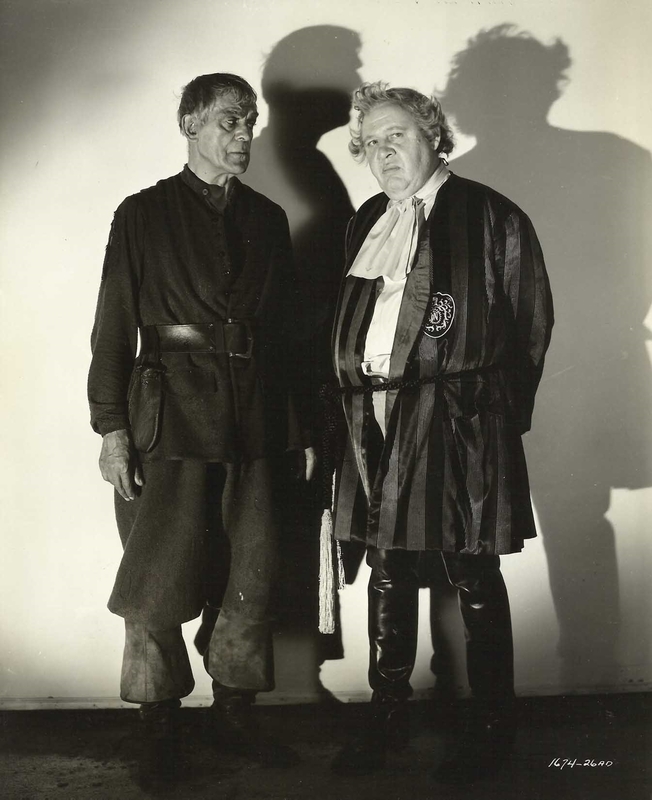 Laughton hams it up taking center stage as a demented nobleman about to hatch an evil plot on the unsuspecting Richard Wyler billed under the surname, Stapley. 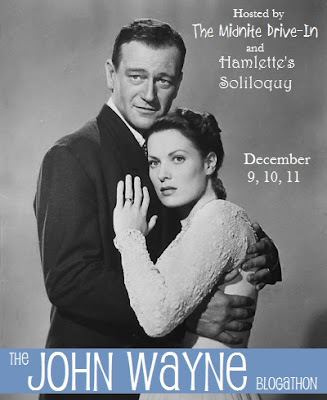 Laughton is looking for a patsy and finds the womanizing, drunken Stapley at a local Inn. He sets his minions upon Stapley which will result in his killing a man and fleeing in a coach conveniently parked in front of the Inn. It’s destination in the middle of the night? Laughton’s castle through the Strange Door of the title. 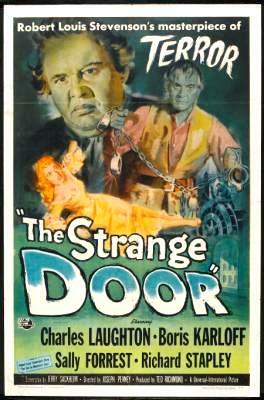 Like a fly entering a spider’s web, Stapley will find himself caught up in Laughton’s evil doings. Stapley has no intention of staying but Laughton’s troops include the likes of Michael Pate who see to it that escape is impossible. The young man is soon going to learn that Laughton has brought him in to the castle to marry his niece Sally Forest. The reasons why will slowly surface as the fast paced running time of 81 minutes unwind. And where is Dear Boris through all this? 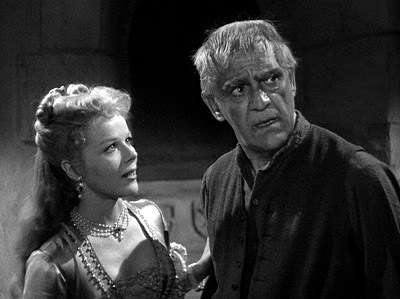 Karloff has a role that at first recalls his Mord in Tower of London. Boris looks after the prison cells below and one inmate in particular played by Paul Cavanagh. Like many of the classic monsters and lab assistants of the genre, Boris has a soft spot for the lovely Miss Forest and will find himself turning from a red herring into a full on hero by the end of the film. 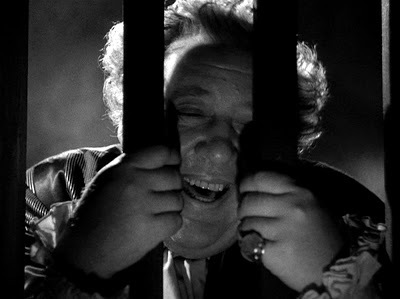 With peep holes and secret passages at his disposal, Boris keeps well abreast of the evil Laughton’s plans. “Who is this nightmare?” A fitting question from Stapley posed to Forest upon first getting a look at Karloff. Sounds like a tailor made line in the script to match Karloff’s screen persona. 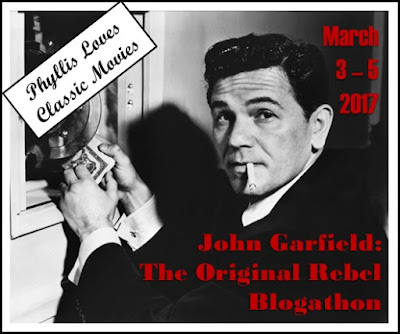 Within a 24 hour period on screen, the pair of youngsters are thrown at each other and like any Hollywood script worth it’s weight in paper, the pair fall in love which doesn’t sit well with Laughton’s scheme. 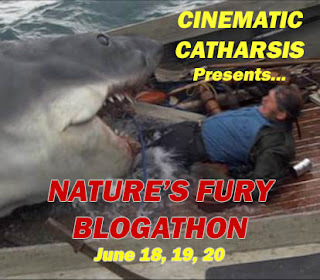 It’s enough to send the former Captain Bligh over the edge of sanity between his ramblings and mumblings. 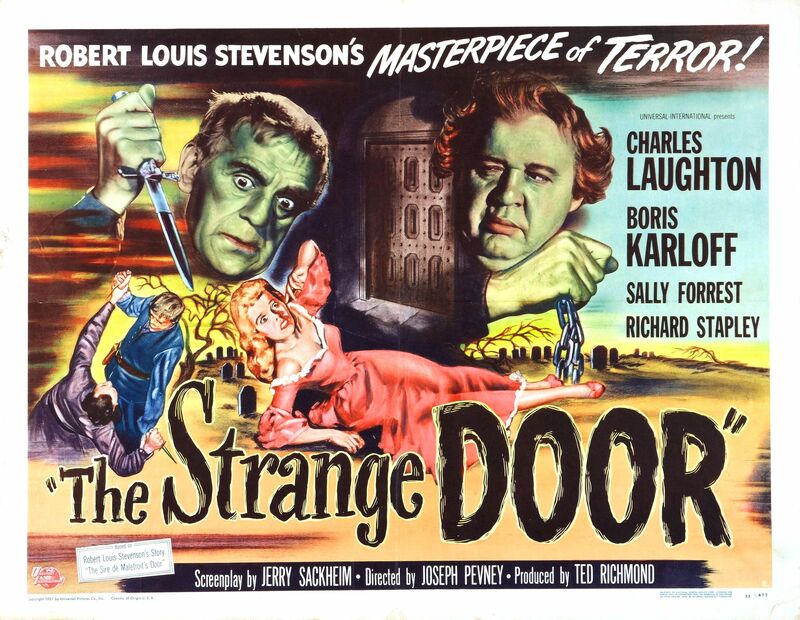 With death literally closing in on a trio of our characters it’s Karloff to the rescue giving Boris a good role that gets larger and comes on stronger as the action packed conclusion hits the screen. 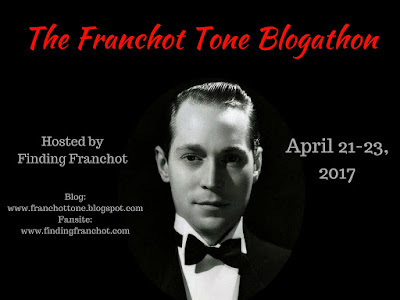 While it’s all rather tame by today’s standards, I will say that Laughton’s comeuppance is a rather ingenious one that may have caused a few gasps and shudders back in 1951 for the younger set who opted to see this one as opposed to grown up fare of the day like A Place in the Sun or A Streetcar Named Desire. Eventual Alfred the Butler, Alan Napier turns up as well as he was known to do in countless co-starring roles in a long and busy career. Aside from Frankenstein and The Secret Life of Walter Mitty, this might be one of my earliest memories of seeing a Karloff movie as a youngster. I knew who he was from those hardcover coffee table books on the history of horror films I’d get at the local library. Still, I think I caught this one after the credits ran and it took me years to see it again and confirm it was The Strange Door. Laughton hadn’t quite entered my vocabulary just yet though I knew of his Dr. Moreau but that film would wouldn’t surface till my adult years. 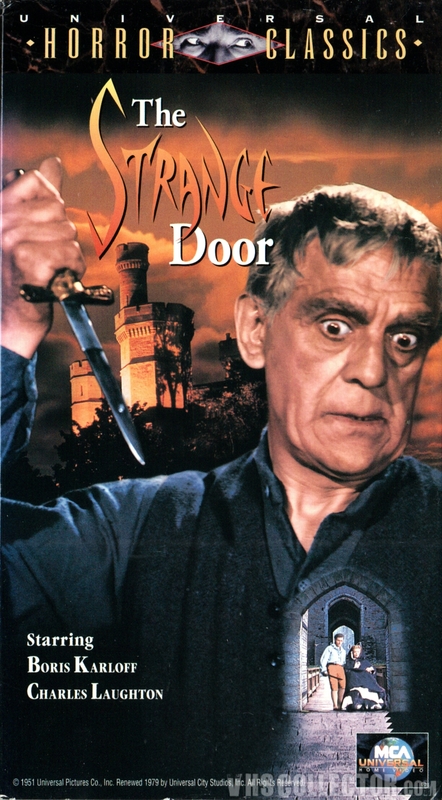 Eventually this one appeared in a series of Universal International releases on VHS then later in a collection of Karloff titles that made their way to DVD. I have a soft spot for this one and can easily recommend it for fans of black and white afternoon adventures and of course Laughton and Dear Boris. Not an outright horror film but with the Karloff name attached to it, it can easily get assigned to the genre and that’s not such a bad thing. In the end, just enjoy it for what it is. A wonderful example of the “B” film. This is a good movie. I own this DVD Collection-it’s great. 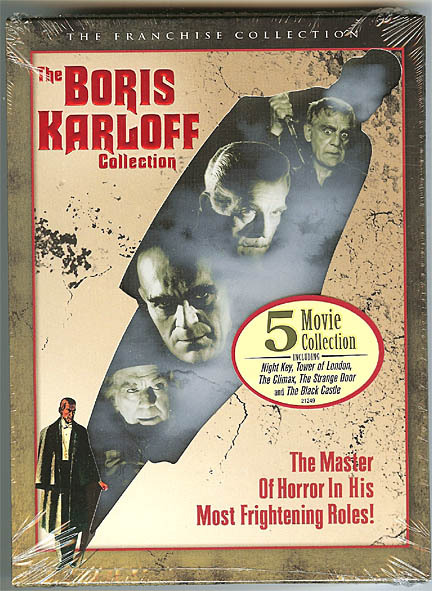 That Karloff collection is a good one to have as is the other one released thru Columbia. I’ve always liked this one and it makes a great double bill with he Black Castle.